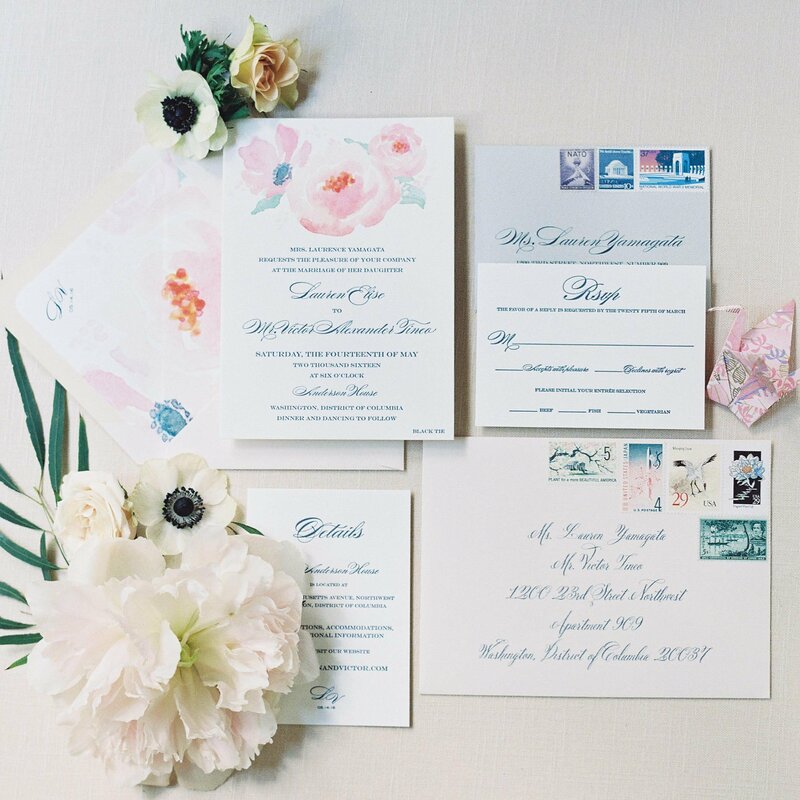 The correct wedding etiquette can at times feel overwhelming and confusing, especially when it comes to wedding invitations and even more so if you are the bride! 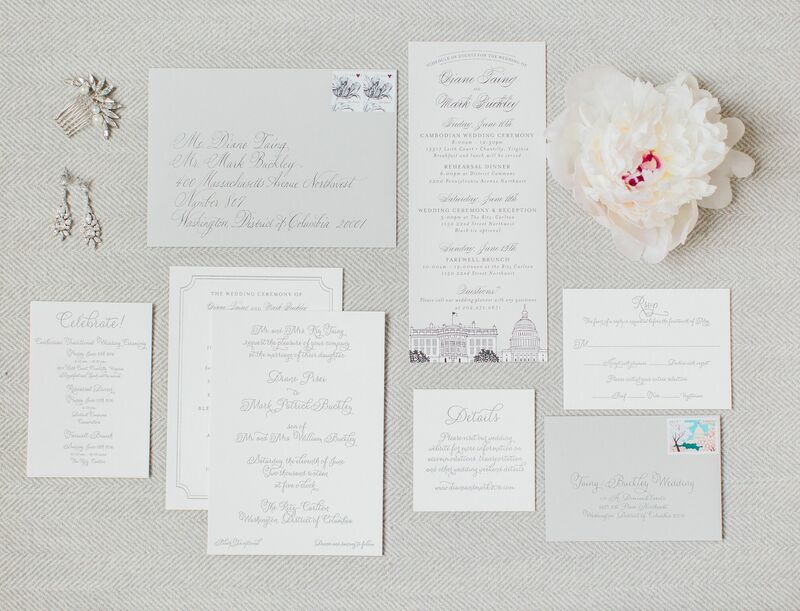 We are often asked a lot of questions about wedding invitations Do’s and Don’t and most often are regarding a RSVP. So to make your planning process a little bit easier our president Aimee Dominick put together a list of a few things to keep in mind. If you are deciding on having a pre-selected course for dinner, make sure that your guests initial their choice of Beef, Fish, or Vegetarian. This way you will know exactly who in the couple is having which meal. We really do love the old fashioned RSVP with a reply date, the notes that guests write to the couple are always to sweet. Do make sure that you number the back on each RSVP card in pencil just in case they don’t fill them out correctly! Alway pre-stamp your reply card, this will ensure that it will get back to you and makes it so much easier for your guests to fill it out and return it. Don’t be afraid to reach out to guests who have not responded by the deadline on your RSVP card. Don’t worry your planner can help you with this! Get excited! 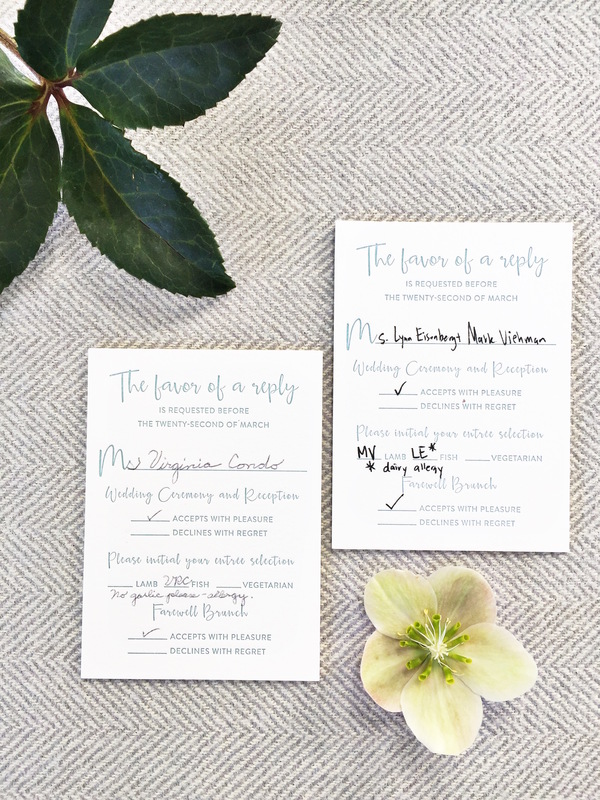 Getting your RSVP’s back for your wedding is such a fun and exciting time as you get to see who of your nearest and dearest will be coming to celebrate with you and it also means that your wedding is not far away! Please Note: As of April 10th 2017 we have filled all avaliable positions for the summer internship. 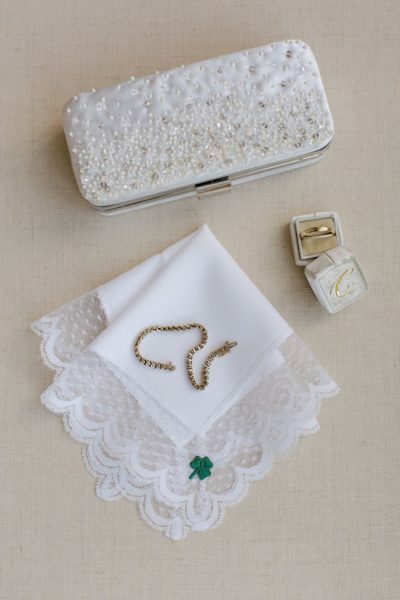 Today everyone is a little Irish and lets be serious, we could all use a little extra bit of luck these days?! So in honor of this festive day, here are a few of our favorite fun facts. Though she is often behind the scenes are thrilled to see our very own Aimee Dominick featured on BRIDES today with a set of five tried-and-true questions you’ll want to discuss as soon as possible that are guarenteed to make the whole wedding-planning process a little bit easier! “Whether or not you have a planner, you can’t make any decisions or hire any vendors without knowing what you want to spend,” says Dominick. Discuss what is realistic, based on what you’re able to contribute (as well as what any family members may be chipping in), and use that overall number to help guide you as you start to check off big-ticket items like venue rentals and catering. In addition to how you want your wedding to look, you as a couple (and also as individuals within the couple) will have things you care about more than others. “Ask yourselves questions about what matters most, whether it’s a specific live band or photographer, as well as what matters less. Knowing where you’re comfortable spending less (such as choosing simple save-the-dates instead of an elaborate design) will allow you to budget more money for the things you really care about,” Dominick explains. 4. What are your family dynamics? Though not directly related to the look of your wedding, having a grasp of your family dynamics will help you, your planner, and your vendors avoid causing any undue stress. For example, if your planner knows your parents are divorced and are not on good terms, she can make sure to seat them far enough apart, as well as help you figure out how to have planning conversations that won’t ruffle too many feathers. 5. Are you having a first look? Discussing your first look before you start planning? Yup, it’s worth considering! “Knowing whether you’ll be taking photos before the ceremony or if you’re waiting to do them all once you’ve said ‘I do’ will impact the timing of your entire day,” says Dominick. 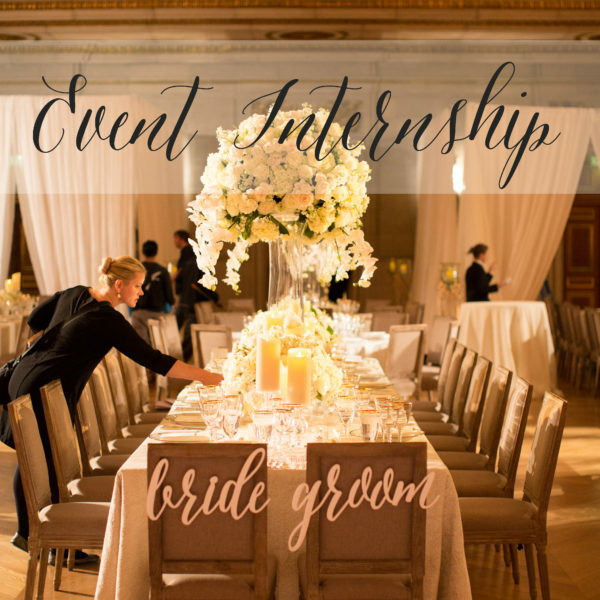 It affects everything from how early your photographer should arrive to when your bouquet needs to be ready to when the first hair and makeup appointment should be scheduled. She makes a good point!